The sun is burning; it is hot, humid and incredibly dusty. 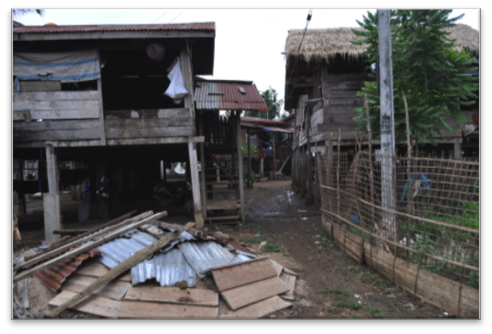 We reach the first destination for our malaria field studies via a bumpy and due to strong rains partially flooded road: The small village Phak Kha in Southern Laos. 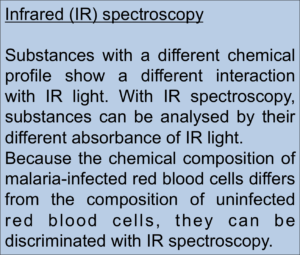 The Centre for Biospectroscopy at the Monash University, which is codirected by A/Prof Bayden Wood and Dr Phil Heraud and to which I belong since November 2016 showed previously that they can discriminate between malaria infected and uninfected human red blood cells by their interaction with infrared light. (3) Therefore, I equipped myself with a portable infrared spectrometer for my mission in Laos. Together with a team of Laotian and one Japanese scientist, my partner Roman and I hit the road to six different remote villages in Laos. Soon after we arrived in the villages, the residents came to our station to be tested for malaria. All participants were informed very well about our study. 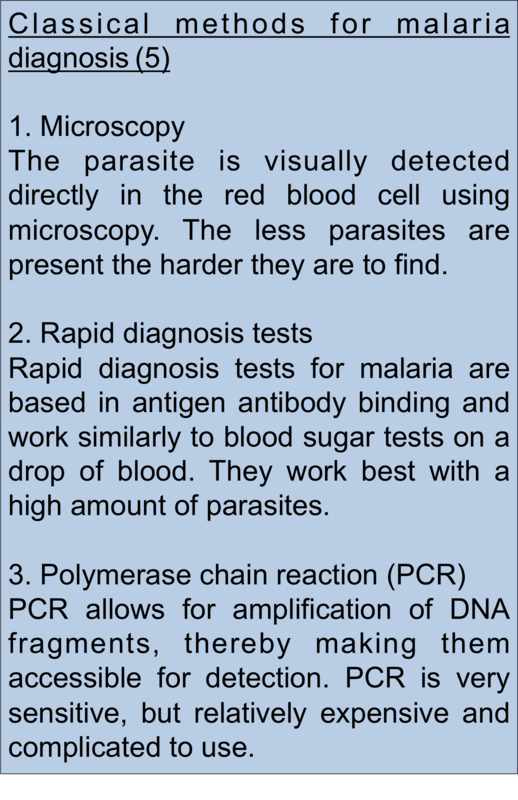 We tested blood samples of 600 patients taken from a pinprick by microscopy, with a rapid diagnosis test, with polymerase chain reaction and with infrared spectroscopy. 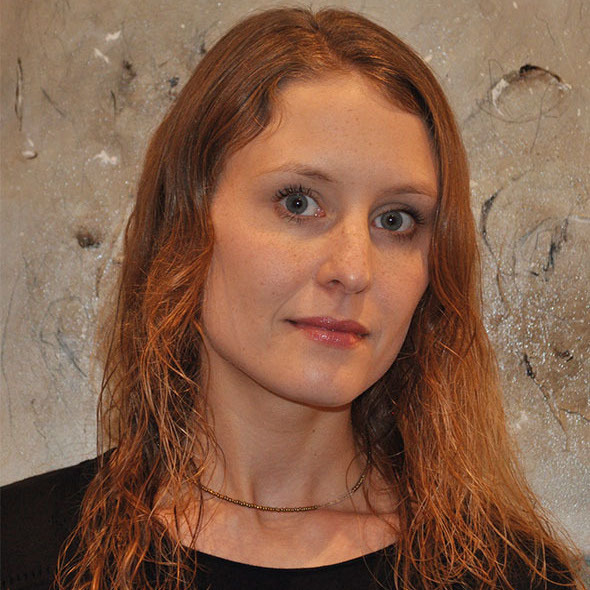 The working conditions were rough – instead of a temperature controlled well equipped lab, I found myself sitting on the flor in front of a school or a temple. Sometimes there were sockets, electricity less often. The poverty is immense, many children do not own shoes, but the warmth, curiosity and creativity is heart-warming. How many games could children in richer countries think off with only one piece of string? Each day, we tested 100 people for malaria. Children playing in front of our improvised station with everything they find. 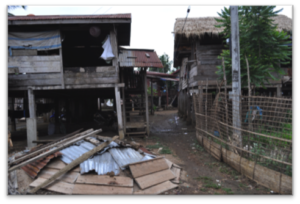 After nine days of hart work, little food and no shower, we went back to Laos’ capital Vientiane. 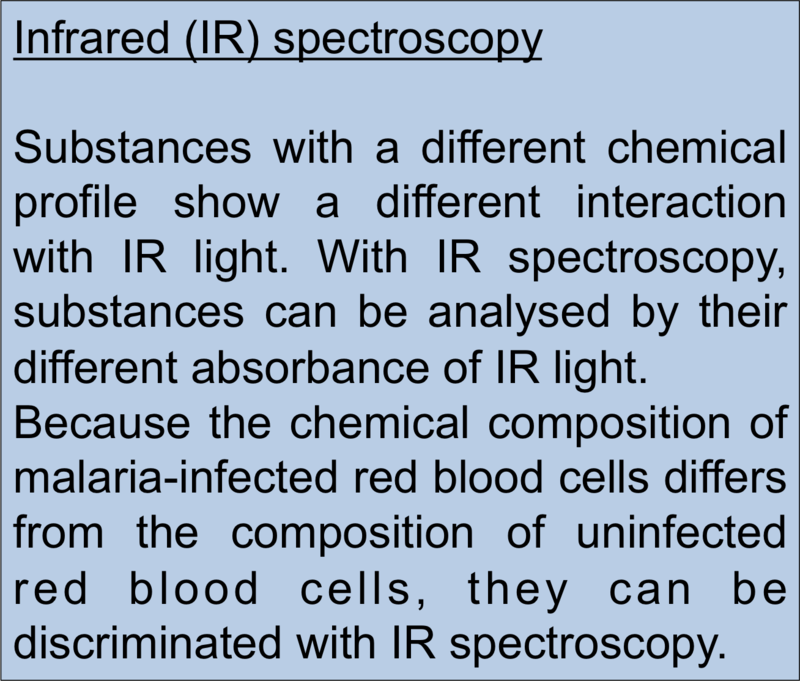 Now it is time for me to analyse my data and to answer the question: Can we detect asymptomatic carriers of malaria with infrared spectroscopy? 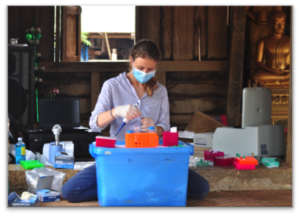 Equipped with an ATR-FTIR spectrometer, a team of scientists – including our own Anja Ruether – hit the road to remote villages in Laos to find out if this technique can be used to detect asymptomatic carriers of malaria. Join our expedition now and watch this movie produced by Roman Schoeni! 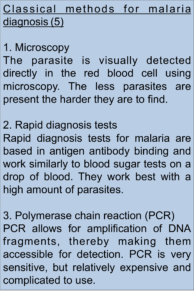 4 World Health Organisation, World Malaria Report 2014 (2014).